Successfully Added Backlit Walkie Talkie Digital Watch, VOX Operation - USA to your Shopping Cart. Backlit Walkie Talkie Digital Watch (Edition) - USA. This is a high quality Digital Watch Walkie Talkie with a high brightness backlit LCD display that permits easy reading even at night and low light conditions. 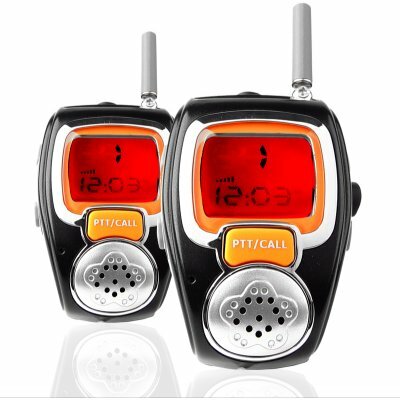 This great wholesale communication device features up to a 1 mile range with others, a rechargeable 3.7V Li-ion battery for power, channel scan and lock, and pre-set channels for North America.